Black Bow to match that perfect Black outfit. 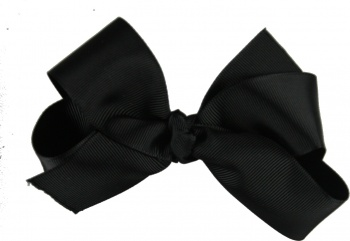 This boutique styled black grosgrain bow is just the right size. It has a French knot center with the same size 1.5 inch ribbon and is attached to a 2 inch French clip.